Two FABB board members testified at hearings on the 2012 Fairfax County budget. Below is our written testimony. As part of the testimony we asked for better traffic enforcement. I also told the Board about my ride to the hearing along West Ox Road. During the short time I was at the intersection of West Ox and Ox Trail, in front of the Navy School, three motorists blatantly turned right on red without stopping. Motorists' behavior has become worse in recent years; the next time you pass through a signalized intersection watch the action of most motorists turning right on red. Most don't stop, creating dangerous conditions for cyclists who are using off-road facilities. We asked for funding for the bike program, which was cut last year and was not restored this year, and we asked for a phasing out of kiss and ride lots at schools. At a time of very limited funds, the school system is spending millions building kiss and ride lots at renovated schools, helping parents drive kids to school who already have a seat on the bus or could walk. We also pay teachers and administrators to direct kiss and ride traffic before and after school. 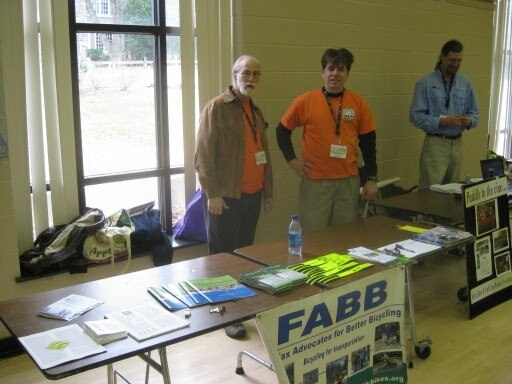 My name is Bruce Wright, Chairman of Fairfax Advocates for Better Bicycling (FABB) and board member of the Washington Area Bicyclist Association. Tonight I’d like to discuss three topics that are important for encouraging bicycling in Fairfax County: 1 Funding for the bicycle program, 2. Safe Routes to School, and 3. Better traffic enforcement. As you know, the county is making progress in this area. The bicycle program office is conducting the countywide bicycle master plan, starting with Tysons. That plan will be coming before you in the near future. We’re also seeing more people commuting on bikes and we’re hearing from more people who want the option of using bikes for short trips. One thing we heard loud and clear during many of the public meetings on the future of Tysons, including the recent Tysons Metro Access meetings, is that residents want to be able to get around by biking and walking. When Supervisor Foust mentioned the need for bike and ped facilities during a recent Kojo Nnamdi show taping in McLean, he received an enthusiastic round of applause. We need funds to build the bike facilities people say they want. I am here today to request that funding for the bicycle program be restored. 100% of the bike program operating funds were eliminated last year and significant cuts to the program were made the two prior years. This sends the wrong message to our residents who want safer bike facilities. The county cannot have a "comprehensive bicycle initiative," one of your basic budget priorities, without operating funds. Kids don’t get enough exercise. Walking and biking to school are easy ways for them to get this exercise, and yet we pay millions for kiss and ride facilities so parents can drive kids who already have a seat on the bus or who live nearby and could walk. We appreciate your support for Safe Routes to School and we hope the School Board does more in the future to spread the word about the benefits of walking and biking to school and the costs we all pay when parents drive kids to school. We could save thousands of dollars by eliminating some Kiss & Ride lots, money that could be put toward helping kids bike and walk to school. As a taxpayer I resent paying twice for some kids to get to school. As the school transportation head stated in a joint meeting with you in November 2009, "This is lunacy. What we should be doing is putting up barriers for those who drive kids to school." If residents knew the true cost of school kiss and ride lots, I’m confident they would support phasing them out. Our streets continue to be dangerous places for bicyclists. In 2010 four cyclists lost their lives when struck by motorists. Many drivers no longer stop at stop signs or red lights when turning right, and they regularly exceed the speed limit without negative consequences. We need more traffic enforcement, not less. Not only would compliance increase, but the county would also receive additional revenue. These concerns are about more than just bicycling; this is an important economic development and quality of life issue for Fairfax County residents. Many potential future employers and residents want to be in vibrant, mixed-use communities served by transit, bicycling, and walking. Developers in Tysons that we’ve talked to get it, and they support walking and biking and having vibrant, people-oriented streets. One of our FABB members used to live here in Fairfax County across the street from the local elementary school and yet his kids couldn’t walk there. He wanted to live in a bikeable, walkable community but met resistance when trying to overcome some basic obstacles. He now lives in Arlington County with a bike lane in front of his house. Without a funded bicycle program, we’ll fall far behind our neighbors and other communities that want to attract younger families like his. We've appreciated your support in the past for the Comprehensive Bicycle Initiative and the Safe Routes to School Program so please consider reinstating some operating funds to the bicycle program next year. Thank you. President Obama wants to reduce our dependence on foreign oil by one-third by 2025. Oil consumption in the U.S. is three gallons a day per capita. The use of gasoline comprises 45% of that oil use. One obvious, inexpensive way to reduce that consumption, especially in urban areas, is to use bicycles. According to the good one-page summary "When People Ride Bikes, Good Things Happen" by Bikes Belong, "Most trips Americans make are short: 49% are less than 3 miles, 39% are less than 2 miles, and 24% are less than 1 mile." Are you reducing your dependence on foreign oil? If you read this blog you probably are, and we should be proud that we're part of the solution, not part of the problem, when we ride our bikes for short trips. A lot more people would do the same if they had safe, convenient ways to make shorts trips by bike. "47% of Americans say they would like more bike facilities in their communities." Earlier we linked to a county website that contains bike crash information for 2010. We just noticed that the page is being updated with monthly crash stats for 2011. There have been two reported crashes this year. In January a cyclist was struck at Brevard Ct/Richmond Hwy and in February a cyclist was struck at Blake Lane/Lee Hwy. The new Silver Line station at Wiehle Ave in Reston is at the same location as the Reston East Park & Ride lot. A mixed use development will soon be under construction at that site, including a new Metro parking garage. The Reston East lot is scheduled to close on April 3. On that same date the replacement parking lot at the intersection of Town Center Parkway and Sunset Hills Rd will open, the Sunset Hills Park and Ride lot. 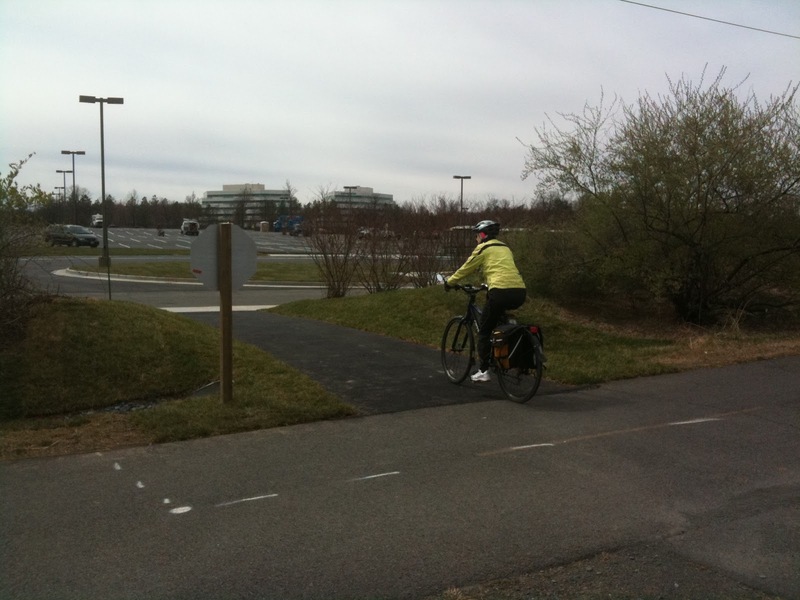 The new lot is adjacent to the Reston Town Center and the W&OD Trail. As you can see from the photo on the right, 10 new inverted U bike racks and several lockers were recently installed at the site. The really good news is that they appear to be installed correctly, adjacent to the bus pickup area, not stuck in some corner of the lot. Kudos to the bike coordinator for a job well done. The only thing that would make this even better would be a covering like the one on the left. We can dream can't we? 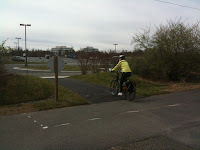 There is a new connector trail from the park and ride lot to the W&OD Trail. Extra care will need to be taken here as this is located where cyclists on the W&OD Trail coming from the west are traveling fast after crossing the Town Center Parkway bridge. The county is finalizing recommendations for alternative ways of accessing the future Silver Line Metro Stations instead of driving. The Tysons Metrorail Station Access Management Study team recently presented recommendations at several public meetings. The Post reported on one of the meetings in the article "Access to new Metro stations still a big question." See our earlier commentary on the article. "Examining the map, is your place of residence or work close to a bicycle facility/route that leads to Tysons Corner?" Y/N/ "If you answered no, where would you like to see bicycle routes established that would make a bicycle trip more convenient?" 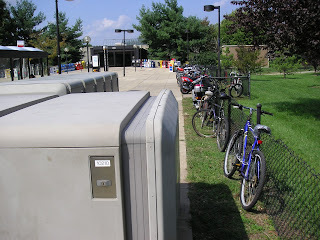 "What bicycle facilities in Tysons Corner are important if you decide to ride a bicycle there? Covered and protected bicycle racks; Bicycle racks conveniently located near the station; Safe crosswalks to access bicycle facilities"
"Please list your bicycle improvement needs by priority by numbering them 1-4: Improved or wider bike lanes; Better road and path lighting; Bicycle parking at stations; Bicycle access onto the Metrorail cars; Other (please specify)"
"The following improvements are recommended in the Tysons Bicycle Master Plan. Please prioritize your reasons for considering bicycling to the Metrorail stations by numbering them 1-4: Bike lanes/shared lanes with markings; Shared use paths; Wider road travel lanes; Bicycle crossings over the Beltway and the Dulles Toll Road; Other (please specify)"
"Access to new Metro stations still a big question" is the title of an article in today's Metro section about the new Silver line stations. That's the online title. The uplifting print title is "A cloud over Metro's Silver Line." In the article it's stated that there is no parking at the new Tysons Metro stations. That's a common misconception, and is indicative of how we think about transportation. There is parking at the stations, several hundred bike parking spaces that cost a very small fraction of car parking spaces and take up much less space, and can easily be added in the future. The author also states that the county has "outlined a bicycle path network." This is another common fallacy, that bicyclists only use trails or paths. We all know that cyclists wouldn't be able to ride anywhere without using roads, which are often the safest, most direct way to get around. The "bicycle path network" is actually a very comprehensive Tysons Bicycle Master Plan that is in final draft form that will soon go to the Planning Commission and Board of Supervisors for approval. Update: See our letter to the Post on this topic that was published recently. That's the title of a free webinar "to learn how to increase the number of women cycling for transportation in your community." FABB's own Fionnuala Quinn is one of the presenters. She's a civil engineer and lead author of the Guide for Reviewing Public Road Design and Bicycling Accommodations for Virginia Bicycling Advocates. Update: We neglected to provide the link to Women Can Change the World through Cycling, Wednesday, March 30, 3:00 to 4:30 p.m. EDT. Attend this free webinar if you want to learn how to increase the number of women cycling for transportation in your community. Five speakers offer compelling insights about cycling projects run by inspiring women, illuminate what women told APBP they want in a cycling environment, and suggest best practices to help you make a difference in your community. Don't miss the stories of some of the wonderful women leading the cycling movement, and results of APBP's 2010 survey on Women Cycling. APBP encourages individuals to gather colleagues and friends together to watch the webinar and discuss and plan afterwards. Build your team. Kristin Gavin founded the Gearing Up program in Philadelphia (http://www.gearing-up.org/), a non-profit organization whose mission is to provide women in transition from drug and alcohol addiction, domestic violence, and/or homelessness with the skills, equipment, and guidance to safely ride a bicycle for exercise, transportation and personal growth. Fionnuala Quinn, PE, Fairfax Advocates for Better Bicycling, offers up a brief history of APBP's Women Cycling Project which she helped to inspire, points to resources we can use, and suggests next steps for the project. 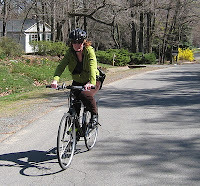 Anna Sibley, Masters in Public Health candidate at the University of North Carolina at Greensboro, summaries the results of the 2010 APBP Women Cycling Project and survey. Speaking of women cycling, here's a great video of a women's desire for better bike facilities in San Francisco so her family can get around by bike. Each state has two years to either adopt the MUTCD or develop a State MUTCD/supplement. Here's a site showing adoption status by state. Virginia plans to adopt the national MUTCD along with a State supplement by June 2011. The current draft of the Virginia supplement is now online. 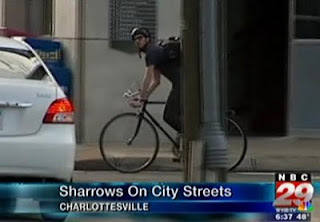 According to an NBC news site, Charlottesville Plans to Install Sharrows This Spring. The City of Alexandria is currently using sharrows on an on-road section of the Mt. Vernon Trail. Those sharrows were part of an FHWA experiment, which allowed the city to use the markings before they were included in the MUTCD. Since Virginia has not yet adopted the latest version of the MUTCD, we're wondering if the use of sharrows in Charlottesville is experimental or whether the city can proceed without VDOT having adopted the state supplement? We have a long list of roads on which sharrows are needed in Fairfax, including Idylwood Rd between Hurst and Idyl Lane, Gallows Road where the bike lanes end crossing I-66, and elsewhere. Responsible for overseeing all aspects of transportation programs under general direction of the Director of Parking and Transportation. Incumbent will provide office and administrative/secretarial assistance to the Office of Parking and Transportation. Incumbent will supervise, monitor and coordinate transportation (TDM) programs and services including registration, marketing, administration and reconciliation of employee and student commuter program. 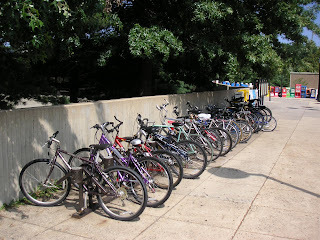 The coordinator would be responsible for organizing Bike to Mason Day and other bike events on campus. Speaking of GMU, Bike to Campus Day is tomorrow from noon to 1:30pm at the Johnson Center, North Plaza, by the clock tower. Bike to Mason Day is April 21, 6am to noon, same location. That was the consensus at two meetings held last night to discuss the impact of the redevelopment of Tysons. At the recording session for Kojo in Your Community, at the McLean Community Center, several residents mentioned the need for better bike and ped access from McLean to Tysons. We noted that most cyclists choose not to use the most direct route into Tysons, Route 123, because of a lack of bike facilities. Another comment about needed better bike and ped access got a good round of applause. The show will air today at noon on WAMU 88.5 FM. We also caught part of the Fairfax County meeting to discuss multi-modal transportation improvements in Tysons. Several participants discussed the challenges of getting around without a car and that we need much better bike accommodations to allow residents easier access to and through Tysons. The meeting began with a presentation on planned improvements followed by Q&A and small group discussions. Here's info about the meetings tonight and Thursday. The Kojo Nnamdi Show is leaving the studios to broadcast from McLean, Virginia, and you're invited to be part of the discussion! Join host Kojo Nnamdi to ask questions, make comments, and share the view from your neighborhood. The dialogue will focus on how new public transportation options might affect the growing suburbs and students and school discipline. This event is recorded, live to tape, for rebroadcast. Please arrive on time, as taping will start promptly at 6:15 p.m.
Because there will be no daily or long-term parking at the stations, the study is focused on pedestrian, bicycle and bus service improvements. During these meetings you will have the opportunity to learn more about the project, ask questions of County staff and give your input on the priority of recommended multi-modal transportation improvements to access the four new Metrorail Stations in Tysons Corner. See the FABB events page for the full schedule of meetings on March 22-24. But Metro's long-range planners, desperate to avoid having to build 30,000 to 40,000 expensive parking spaces at stations to meet the projected surge in ridership over the next 20 years, have launched an initiative to quintuple the number of cyclists. "It's very much strategic for us to put a really big focus on bicycle parking," said Kristin Haldeman, Metro's manager of access planning. 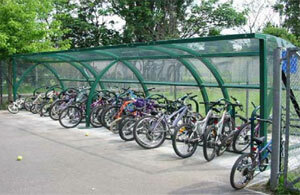 Parking spaces cost on average $25,000 each, compared with $1,000 per space for a secured bike cage. "It's an extremely expensive proposition for us" to expand car parking, she said. "I was telling my patients they had to exercise a half-hour a day," said Buchholz, 36, a physician who rides from his home in Falls Church to the East Falls Church Station. The father of two decided a year ago that biking to Metro was the easiest way to fit a workout into his hectic day. Harley Frazis, 53, hops on a hybrid mountain/touring bike at his Bethesda condominium each morning to shave five minutes off his commute to the Medical Center Station. Frazis, a research economist at the Bureau of Labor, is a die-hard bike commuter who said the only thing that deters him is ice on the path. "If there’s intermittent rain, I'll sweat it out," he said. Strapping on her helmet for a seven-minute ride from the station to her home in Mount Pleasant, Catherine Harrington said she bikes because there is no other convenient mode of transportation to reach the Red Line, which she takes to her job at the Women's Learning Partnership in Bethesda. "It's a 25-minute walk," she said, so she bikes in order to sleep 15 minutes later in the morning. All three voiced a strong interest in seeing more bike lanes and paths to make commuting safer. Washington is "really lacking with the bike lanes," especially compared with New York, Harrington said. To address those challenges and lure more cyclists, Metro plans to invest more than $11 million in projects to improve bicycle and pedestrian access to its rail stations through 2017. Of that, $3 million would go toward replacing rapidly deteriorating bicycle racks and lockers. Metro plans to spend $8 million on expanding bicycle parking and improving connections to stations from communities. If you do ride to Metro, be sure to have a secure lock. Bike theft is a problem at the stations and having a good U-lock or other good quality lock is essential. Be sure to secure both wheels and the saddle as well, so two locks may be necessary. Fairfax County is developing plans for multi-modal access of the future Metro stations in Tysons. 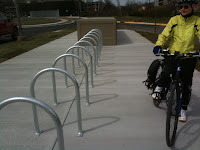 Bicycling will be an important way for future Tysons residents, and people living nearby, to access the stations. The only parking available at the stations will be for bicycles. 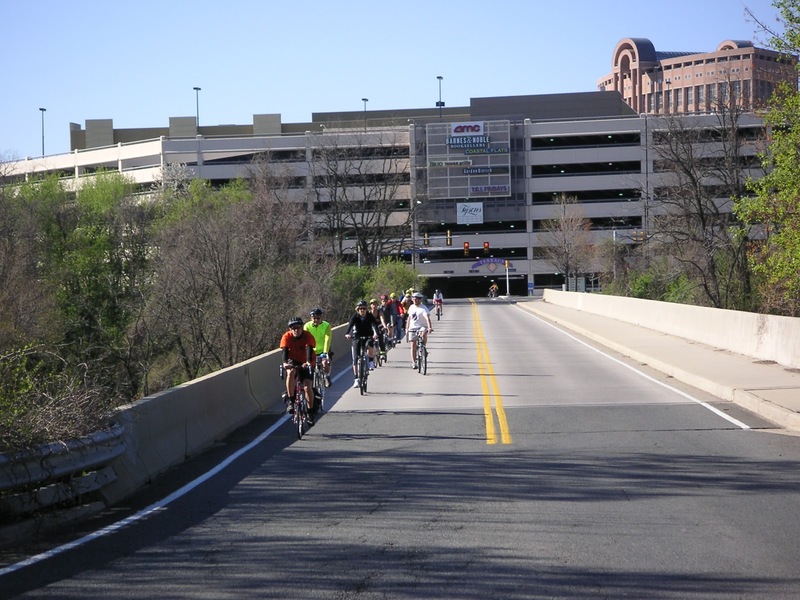 The county just completed work on the draft Tysons Bicycle Master Plan, and now cyclists need to speak out in support of the plan and bicycle access in general. Several meetings are planned to hear from residents about how they want to access the future Metro stations in Tysons. From the county website: "Public meetings will be held to give stakeholders an opportunity to provide input on the study regarding the priority of multi-modal access improvements to the four new Metrorail Stations being constructed in Tysons Corner. Because there will be no daily or long-term parking at the stations, the study is focused on pedestrian, bicycle and bus service improvements. During these meetings you will have the opportunity to learn more about the project, ask questions of County staff and give your input on the priority of recommended multi-modal transportation improvements to access the four new Metrorail Stations in Tysons Corner. See the full list of Virginia's Bicycle Friendly Businesses (pdf). 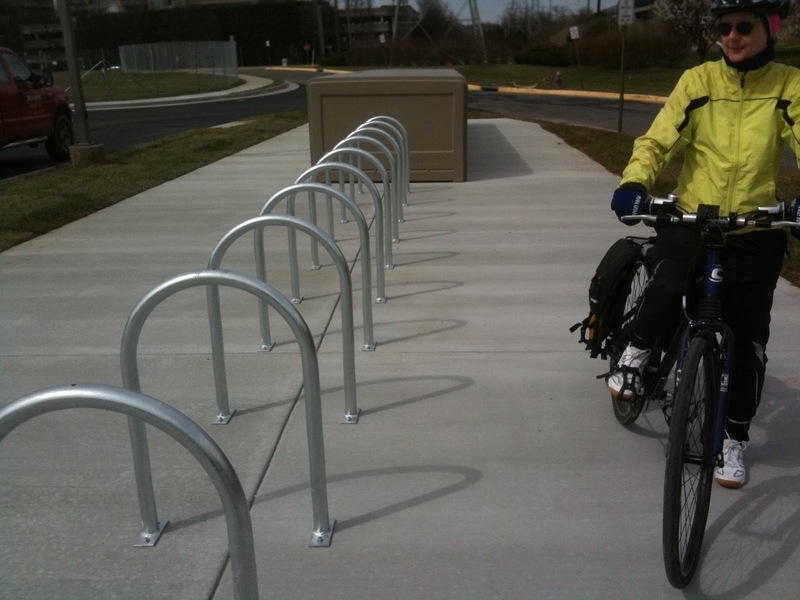 There are two Bicycle Friendly Businesses in Fairfax County, The Bike Lane in Reston and Burke (Silver), and PricewaterhouseCoopers-Mclean (Honorable Mention). We would appreciate your help in forwarding the information about this meeting to your communities. This conflicts with tonight's FABB meeting so I hope some south county cyclists can attend to ask VDOT how they plan to make the road safer for cyclists. Last night Gina Arlotto of WABA, with support from FABB, gave a Safe Routes to School presentation to the Fairfax Co. Transportation Advisory Commission (TAC). There was general support for the program, with most commissioners wondering why the county has not made use of SRTS funds to build much-needed bicycle and walking infrastructure at a time of very limited budgets. The TAC plans to invite school representatives to a future meeting to ask about progress in applying for these funds. What is the state of cycling in Virginia? That's what we'd like for you to help us understand. BikeWalk Virginia is launching a new program to collect information on this very subject. Using a brief online survey we are gathering information about Virginia resident experiences, preferences, concerns, and ideas on cycling. Data collection will be ongoing but we ask that you please complete it by April 20, 2011. We will begin sharing data in May for Bike Month 2011. Please pass this survey along in your network and community. Our goal it to have the survey completed by cyclists of all types from every corner of the state. The more people who participate, the more we can learn. Help us understand, then together we can work toward creating a better Virginia for living, working, and playing. Fairfax County is holding Town Hall meetings around the county to review the FY 2012 Proposed Budget. Cyclists should attend to ask about funding for bicycle projects and to speak out in support of of the bicycle coordinator position and his operating budget. FABB will be testifying at the formal budget hearings at the end of March. See the county budget page for detailed info. Bicycling is part of the Board Goals & Priorities: "Efficient transportation network—Fairfax County makes it a priority to connect People and Places. We will continue to plan for and invest in transportation improvements to include comprehensive bicycle and pedestrian initiatives, bus and para transit, road and intersection improvements and expansion of Metrorail and VRE." Fortunately there is funding this year for the Countywide Bicycle Master Plan which will commence in the near future. Providence District Association Dunn Loring Administrative Center, 2334 Gallows Road Tuesday, March 15 - 7:00 p.m.
League of Women Voters Packard Center, 4026 Hummer Road, Annandale - 1st Floor Conference Room Wednesday, March 16 - 10:00 a.m.
Dranesville District Herndon Town Council - Herndon Town Council Chambers Wednesday, March 16 - 7:00 p.m.
CIP - Planning Commission - CIP Committee Meeting Government Center - Board Auditorium Wednesday, March 16 - 7:30 p.m.
Hunter Mill District Vienna Community Center - Multi-Purpose Room Saturday, March 19 - 10:00 a.m.
Dranesville District McLean Community Center - 1234 Ingleside Avenue Wednesday, March 23 - 7:00 p.m.
Lee District Association Franconia Governmental Center - Community Room Wednesday, March 23 - 7:30 p.m.
Wednesday, March 23 - 7:30 p.m.
CIP - Planning Commission - PC Mark Up Government Center - Board Auditorium Wednesday, March 23 - 8:15 p.m.
CCJB - Community Criminal Justice Board Courthouse, 5th Floor - Jury Waiting Area Thursday, March 24 - 8:00 a.m.
Springfield District Council Government Center Building - Conference Rooms 9 & 10 Thursday, March 24 - 7:00 p.m.
Dranesville District Great Falls Library - 9830 Georgetown Pike, Great Falls, VA Thursday, March 24 - 7:00 p.m.
Fairfax County Federation of Citizens Association Packard Center, 4022 Hummer Road, Annandale Thursday, March 24 - 7:30 p.m.
Hunter Mill District Reston Community Center - Hunter Woods Saturday, March 26 - 10:00 a.m.
Mason District Spring Town Meeting Bren Mar Park Elementary - Cafeteria Monday, March 28 - 7:00 p.m.
Becky Johns was killed while riding her bike across Franconia Road in August 2010. From the Facebook page Becky's Hugs: "On Wednesday, March 16, 2011 Supervisor McKay, Delegate Sickles and Senator Barker will convene a meeting for VDOT personnel to present the results of their Franconia Road/Cannon Lane study to the community. The meeting will take place at 7:30 PM in the cafeteria at the Clermont Elementary School. This is the location where Rebecca Johns was killed last year while riding her bicycle. See the Lee District events page. Cyclists who want to help make Franconia Road more bicycle-friendly should plan to attend the meeting to hear about VDOT's plans and speak out for better bike facilities." "The Manual on Uniform Traffic Control Devices, or MUTCD defines the standards used by road managers nationwide to install and maintain traffic control devices on all public streets, highways, bikeways, and private roads open to public traffic." The latest version of the MUTCD published in 2009 includes Shared Lane Markings (Sharrows) and "Bicycles May Use Full Lane" signs. See BikePortland for a summary or see the MUTCD section on Traffic Controls for Bicycle Facilities. The Federal Highway Administration recently published a list of various types of bicycle facilities and whether or not they are permitted in the current version of the MUTCD. For instance, contraflow bike lanes are now being used in DC and elsewhere but guidance is not contained in the AASHTO Bike Guide. According to the FHWA site, "Contraflow bike lanes—Can be implemented at present time if signs and pavement markings that are compliant with the MUTCD are used." The same is true of "Buffered bike lanes." Cycletracks are "Not a traffic control device, so no MUTCD restriction on its use." In some cases a bicycle facility may be experimental, and the site indicates whether there are experiments currently underway. See also the footnote to the table: "Inclusion on this list does not constitute FHWA endorsement. The purpose of this list is to describe the status in the MUTCD of different bicycle-related treatments. Practitioners should consult any applicable design policies, including the American Association of State Highway and Transportation Officials' Guide for the Development of Bicycle Facilities, and State laws of the State within which the treatment is contemplated for use. The design and implementation of traffic control devices requires careful consideration of the roadway environment to ensure the safety of all road users." 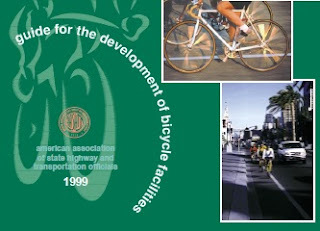 AASHTO Bike Guide: The official bicycle facility design guide is the AASHTO Guide to the Development of Bicycle Facilities published in 1999. Discussions regarding update of the 1999 version of the guide began as early as 2003. A group within AASHTO, the American Association of State Highway and Transportation Officials, oversees revisions to the guide based on "proven and tested national best practices." Toole Design Group led the effort to produce a new draft version of the revised bike guide, which was released for review and comment in Feb 2010. At the USBR 1 meeting recently held in DC, staff from AASHTO provided an update on the status of the draft guide. Over 1500 comments were received, so many that another consultant, Midwest Research Institute, was hired to research and respond to each comment. AASHTO hopes to have a revised draft by May or June. The approval process will begin with balloting of member organizations, 2/3 of whom must vote in favor of approval for adoption. This will take 3-6 months. Publication is possible by the end of the year. While the Guide must be grounded in research, it must also include the latest and best observations and guidance on innovative designs. We hope that the Guide will highlight the need for funded research, but we recognize that some level of guidance is appropriate as the research catches up to the state of the practice." The list of facilities includes buffered bike lanes, contra-flow bike lanes, left-side bike lanes, bike lanes with reverse angled parking, bike lanes at freeway interchanges, bike lanes at roundabout approaches, bike boulevards, shared lane markings in a variety of settings, climbing bike lanes, signalized intersections designed to meet bicyclists' needs, two-way paths adjacent to roads (under certain conditions), and path/roadway intersections. The NACTO Urban Bikeway Design Guide is based on the experience of the best cycling cities in the world. The designs in this document were developed by cities for cities, since unique urban streets require innovative solutions. Most of these treatments are not directly referenced in the current versions of the AASHTO Guide to Bikeway Facilities or the Manual on Uniform Traffic Control Devices (MUTCD), although many of the elements are found within these documents. The Federal Highway Administration has recently posted information regarding approval status of various bicycle related treatments not covered in the MUTCD, including many of the treatments provided in the NACTO Urban Bikeway Design Guide. All of the NACTO Urban Bikeway Design Guide treatments are in use internationally and in many cities around the US. One of the meetings held during the week of the National Bike Summit was an update to work being done on US Bike Route 1. Representatives from organizations working on the route gathered at AASHTO headquarters in DC. Any changes to the route must be approved by AASHTO. 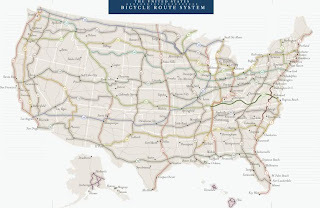 Currently there are only two official US Bike Routes, USBR 1 extending from Virginia thru North Carolina, and USBR 76 extending from Virginia to Illinois. Adventure Cycling Association is leading development of a complete network of US bike routes, extending the existing routes to the national border and creating several other cross-U.S. routes. The USBR 1 meeting was mostly a discussion of the status of the route through the states north of VA and south of NC, and changes to the VA and NC segments. In VA the route through Ft. Belvoir has been closed since Woodlawn Rd was closed to through traffic after September 11 (map). A new road, Mulligan Road, is being built that will extend across Ft. Belvoir from Route 1 to Telegraph Rd that will be open to bike traffic with wide outside lanes and a shared use path. 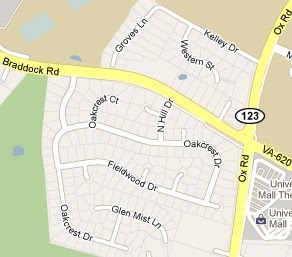 According to VDOT, construction of Mulligan Rd will be complete in 2012. The alignment of USBR 1 as it enters VA from the north was also discussed. Documentation of the official route is being sought to determine if it enters VA using the Arlington Memorial Bridge or the 14th Street bridge. With the Memorial bridge crossing cyclists ride along a paved trail leading to the Mt Vernon Trail. This connector trail crosses fast moving traffic at two places, the entrance ramp from Washington Blvd, and GW Parkway. The 14th Street crossing has a more direct connection to the Mt Vernon Trail. During the meeting Virginia Sullivan of Adventure Cycling announced the availability of a new interactive US Bike Route map. Click on a state to see a summary of the current status of work on routes in that state. Liz McAdory of VDOT is the Virginia coordinator. Liz.McAdory(at)VDOT(dot)Virginia(dot)gov. Much of the on-the-ground work is being done by members of Virginia Bicycle Federation, several of whom attended the meeting. From the Victoria Transport Policy Institute newsletter about a new study on the benefits of investments in bike facilities: Costs and Benefits of Bicycling Investments in Portland, Oregon; This study by Thomas Gotschi, published in the 'Journal of Physical Activity and Health,' indicates that bicycle facility investments provide net benefits considering just health care service and fuel cost savings, and far greater economic returns when total benefits to users and society are considered. Methods: Costs of investment plans are compared with 2 types of monetized health benefits, health care cost savings and value of statistical life savings. Levels of bicycling are estimated using past trends, future mode share goals, and a traffic demand model. Results: By 2040, investments in the range of $138 to $605 million will result in health care cost savings of $388 to $594 million, fuel savings of $143 to $218 million, and savings in value of statistical lives of $7 to $12 billion. The benefit-cost ratios for health care and fuel savings are between 3.8 and 1.2 to 1, and an order of magnitude larger when value of statistical lives is used. Conclusions: This first of its kind cost-benefit analysis of investments in bicycling in a US city shows that such efforts are cost-effective, even when only a limited selection of benefits is considered. Fairfax County was built with the premise that most people would get around using cars on major roads. Neighborhoods are accessed using cars but most of those neighborhood streets are not connected and the only way to get anywhere is by using a major arterial. This was done to reduce "cut through" traffic, keeping outsiders from cutting through quiet residential streets. Well they are certainly quiet, since they can only be used to get from ones home to the nearby fast-moving and usually congested major connecting street. Virginia has seen the light and is now requiring neighborhood streets to connect to each other if VDOT is going to maintain them. Unfortunately this new guidance isn't going to help most of us for many years; we're stuck with what we've got. First, spatial patterns of land use and transportation infrastructure are destiny, setting the stage for whether or not walking, biking, and/or transit are more efficient or less efficient than the automobile for the conduct of most trips. Trying to promote walking, biking, and transit on places that are designed to support automobility is a losing proposition. Or at least, a proposition with a longer term payoff. But at the same time, the more enlightened communities, such as Arlington, and now Montgomery County Maryland and Fairfax County, Virginia (face it, who could ever have answered "Fairfax County, Virginia" in a discussion about enlightened transportation and land use policies and planning?) are demonstrating that they need to change their predominate spatial patterns, so that their communities transcend their automobile and highway era development patterns, and become more like those communities developed during the period of the walking and streetcar city eras. That's what's behind new master plans for areas like Tysons Corner in Fairfax County, and for White Flint in Montgomery County. Second, myriad subsidies of automobile-oriented land use and automobile-use itself exist throughout the "market system" but are not acknowledged and identified but taken for granted by so-called market proponents. For example, roads are subsidized to the tune of 50% from general funds, from funds other than those generated by automobile registration fees, federal and local gasoline excise taxes, and tolls. Gasoline is subsidized to the tune of $4-$5/per gallon in terms of the development, environmental, and military costs that a separated use, automobile-centric transportation and land use paradigm imposes on the system. No one is rooting harder for the democracy movements in the Arab world to succeed than I am. But even if things go well, this will be a long and rocky road. The smart thing for us to do right now is to impose a $1-a-gallon gasoline tax, to be phased in at 5 cents a month beginning in 2012, with all the money going to pay down the deficit. Legislating a higher energy price today that takes effect in the future, notes the Princeton economist Alan Blinder, would trigger a shift in buying and investment well before the tax kicks in. With one little gasoline tax, we can make ourselves more economically and strategically secure, help sell more Chevy Volts and free ourselves to openly push for democratic values in the Middle East without worrying anymore that it will harm our oil interests. Yes, it will mean higher gas prices, but prices are going up anyway, folks. Let's capture some it for ourselves. One way to overcome this disconnected system of streets, at least for bicyclists and pedestrians, is to make a major effort to create connections. In many areas all that is needed is an easement from two or three property owners to created a short trail connection. 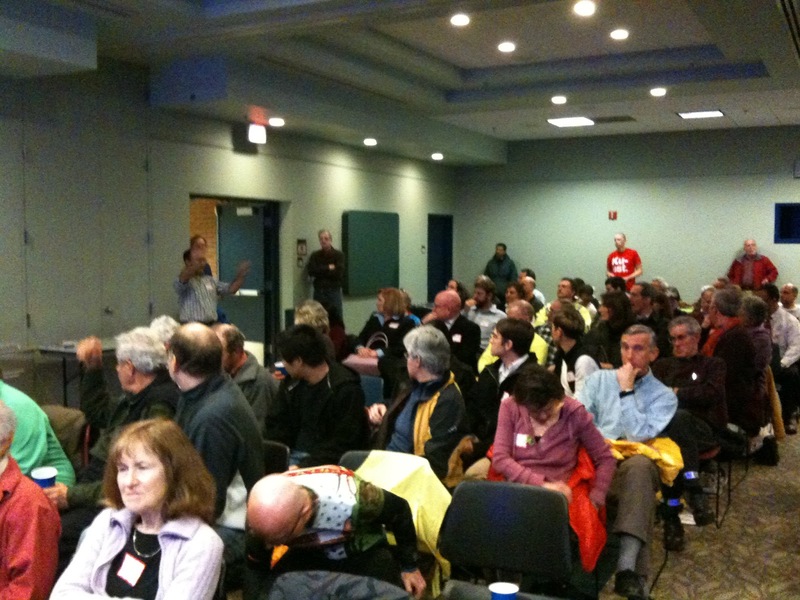 At the Bike Summit we talked to a cyclist whose community is doing just that using grant funds. Today we'll be meeting with Fairfax Congressional representatives to discuss continued funding for the Transportation Enhancement program, Safe Routes to School, and the Recreational Trails Program. 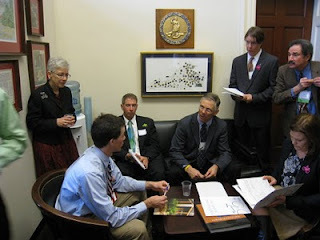 Allen Muchnick of the Virginia Bicycling Federation has scheduled meetings with all Virginia legislators, including Congressmen Moran (8th Dist. ), Wolf (10th), and Connolly (11th). We'll be representing Fairfax cyclists at these meetings. The cyclists want continued dedicated funding for three key federally backed programs: a $117 million program to develop safe routes that promote walking and biking to school by children; a program that builds and maintains recreation trails; and funding for bicycling and pedestrian projects. Their first objective is to preserve those programs in the cost-cutting debate over the 2011 federal budget, and then to see them maintained in the long-term transportation funding bill that may be considered this year. They are armed with statistics that show that 1.5 percent of federal transportation dollars are spent to support biking and walking while 12 percent of all trips are on two feet or two wheels. With an increased emphasis on reducing funding for federal programs we'll be making the argument that investing in bicycling is cost-effective. A study conducted in Baltimore showed that bike projects put more people to work than road projects. And in Portland, Oregon for the cost of 1 mile of highway they’ve built a world-class bicycle network with a high percentage of daily trips are taken by bike. It costs 22 times more to build the infrastructure needed for new car trips vs. new bike trips. The Innovation Award goes to an organization that’s pioneering or inventing new ways to promote biking and walking. In 2010, the Fairfax Advocates for Better Bicycling released a groundbreaking new resource: Guide to Reviewing Public Road Design and Bicycling Accommodations for Virginia Bicycling Advocates. The 28-page booklet simplifies and streamlines the confusing road design process with easy-to-follow flow charts, handy check lists and explanations that make sense to folks who don’t have a masters degree in urban planning. Almost immediately, FABB’s innovative guide was in high demand. Over the past six months, it has been widely distributed, well received by both advocates and transportation officials, and now FABB advocates are working on a template that other organizations can use to tailor the guide for their specific states and transportation jurisdictions. I estimate there were over 200 people at the film viewing sponsored by the Arlington Bicycle Advisory Committee and BikeArlington this evening. The short documentary on bicycling in several European cities highlighted many innovative bicycle facilities being used there. The documentary was filmed during a tour of Europe by transportation professionals from the U.S. documented in Pedestrian and Bicyclist Safety and Mobility in Europe and in Handy Lessons From Overseas on Walking and Bicycling. Cycletracks, bus/bike lanes, painted bike lanes, bike boxes, bicycle-specific signals were among the facilities shown. Right on red is prohibited in some locations which helps reduce conflicts and seems to lead to better compliance by motorists and cyclists. Right on red in the U.S. has probably contributed greatly to the aggressive nature of many motorists here. We think we have a right to basically disregard traffic signals if we're turning right. Speed limits are also much lower in most European cities. Convex mirrors (known as trixi mirrors) were used in some locations to allow motorists to see cyclists approaching on their right. These are especially useful for drivers of large vehicles that may have obstructed views. Zig-zag pavement markings similar to those on Sterling Blvd and Belmont Ridge Rd where the W&OD Trail crosses, were shown. I especially liked the traffic garden in the town of Winterthur. School children learn how to navigate traffic in this reduced scale neighborhood of streets that includes "traffic signals, roundabouts, bike lanes at intersections, sidewalks, work zones, public benches, and other common traffic situations." Many of the facilities shown in the film cannot be used in the U.S. Cities for Cycling, a project of the National Association of City Transportation Officials, is hoping to change that by cataloging, promoting and implementing the world's best bicycle transportation practices in American municipalities. That's the premise of a post by Elly Blue on Grist entitled How bicycling will save the economy (if we let it) (thanks to WashCyle for the link). As gas approaches $4/gallon, the cost of owning a car continues to rise. Most of that money leaves our local economy and goes to oil and gas, insurance, and car companies. What if that money were spent on bikes and local products? In the many North American cities where two-wheeled transportation is taking off, a new bicycle economy is emerging. It's amazing how much money can stay in your community when it isn't being pumped into the gas tank, big insurance, and the auto market. 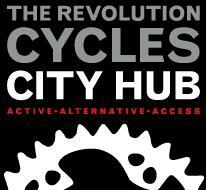 What will this new bicycle economy look like? We don't have to guess. It's already emerging along urban, low-traffic bikeway networks nationwide. One thing is guaranteed: it includes a lot of new bike shops like this one on a bikeway in Baltimore -- one of five new bike shops to have opened in the last two years in that city. A 2008 study in Portland clocked bicycle-related industry alone as contributing $90 million to the local economy every year. Bicycle tourism is another huge boon to regions that can attract it -- in 2010, Wisconsin bragged of a yearly $1.5 billion bike economy [PDF]. Less obvious synergies abound as well. People who ride, just like people who drive, buy groceries, visit the doctor, need a new shirt sometimes, and enjoy dinner and a movie. They work. Their kids attend school. Despite the media attention given to mega-mileage supercommuters, for most people who depend on bikes for transportation, life works best with all these necessities in reasonable biking distance -- say, less than five miles -- from their home. Preferably along routes that don't include riding on highways or having to zip anxiously across them. The rest of the article is a worth spending a few minutes to read. While it's much more difficult for us here in Fairfax to ditch the car, many of our trips are short and could easily be taken by car. With better bike facilities many others would be much more likely to reduce their car use by using bikes for these shorter trips. Multiple car families might have the option of getting rid of a car and saving thousands of dollars each year. Thanks to the FABB members how were at our table at Be Fit McLean Outdoor Adventure & Fitness Expo. One of the objects of the Expo is to let county residents know about the many recreation options here in Fairfax. You don't need to drive long distances to find places to ride, paddle, or hike. They handed out lots of copies of the Fairfax County bike map which shows many good bike routes here in the county. They handed out a few of the reflective leg bands that we recently purchased with funds from the Transurban-Fluor Community Grant Program. We also singed up several people for our bi-monthly newsletter (links to previous newsletters are on our home page in the lower right). The Mar-Apr newsletter will be out soon. The 2011 National Bike Summit will be held in Washington, DC between March 8-10. 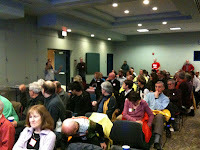 We are very fortunate this year that the Reston Bike Club has offered to sponsor our attendance at the summit. Fionnuala Quinn of FABB will also attend. We plan to meet with other Virginia attendees on Tuesday. We will cover the all-day Summit sessions on Wednesday. On Thursday bicyclists from around the country will converge on Capitol Hill to meet with their legislators. As Congress develops the budget for this year and next, including reauthorization of the Transportation Bill, it's important that bicyclists have a strong presence on the Hill. As prepared by the League of American Bicyclists, the main "Ask" will be: "Will you support continued dedicated funding for vital bicycling and walking programs such as the Transportation Enhancements, Safe Routes to School, and Recreational Trails Program?" See the full 2011 National Bike Summit program. For more information about the Reston Bike Club see the RBC website and read about the Reston Century, one of the best century rides on the East Coast. According to the City of Falls Church website, "An update on the progress to complete the Pedestrian, Bicycle and Traffic Calming Strategic Implementation Plan will be presented to the public on Thursday, March 3 at 7:30 p.m. in the Dogwood Room (Training Center) of City Hall, 300 Park Ave." Located just a few blocks from the W&OD Trail. For more information about the plan or the meeting see the Pedestrian, Bicycle and Traffic Calming Strategic Implementation Plan page. 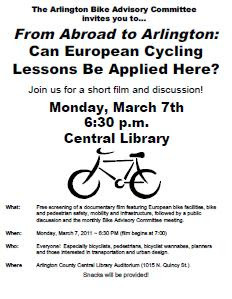 The Arlington Bicycle Advisory Committee and BikeArlington are sponsoring a viewing of a short documentary on European bicycle facilities, featuring bicycle and pedestrian safety, mobility and infrastructure. It will be followed by a public discussion. Everyone is welcome to attend. The event will be held on Monday, March 7 at Arlington County Central Library Auditorium (1015 N. Quincy St.). The library is not far from the Custis Trail. The meeting begins at 6:30pm. We haven't posted in a while because we've been on vacation cycling in Hawaii. 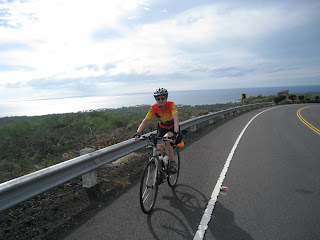 We had a wonderful 11 day trip to the big island of Hawai'i, part of which was spent cycling on a Bicycle Adventures trip. The Ironman Triathlon is held on the island, beginning in the town of Kailua/Kona with a 2.4 mile swim in the ocean, then a 112 mile bike ride, and ending with a 26.2 mile run. During the tour we rode part of the Ironman bike route, about the only place on the island we saw a bike lane. Throughout the trip there were always cyclists on the Ironman route. Unlike Virginia, Hawaii has managed to maintain it's roads even in difficult budget times. It helps that they have a mild temperature throughout the year, but we saw very few potholes or rough roads. Almost all major roads have a paved shoulder. On roads with faster traffic the shoulder is usually wide. The only time we were hassled by motorists on the trip was when some kids yelled from a car. Most of the time motorists were very considerate. Having paved shoulders helped. A lot is happening in the bike world and we will be reporting regularly now that we're back.